It's 1954 in Dublin and only days after giving birth to a daughter, Grace is taken to Our Lady's Asylum by her husband and aunt to help to recuperate. Grace finds herself embarrassed with nobody to turn to, not even her elite status as a Judge's wife will help her here. Fast forward to April 1984, 30 years after the death of her mother, Emma, the Judge's daughter returns from Australia to attend the Judge's funeral. Meanwhile, in India, Vikram, the man that Grace fell in love with all those years ago, is planning on returning to Ireland to visit his beloved Grace's grave. But before he can do that, Vikram has to try to put the awful memories he has of his last few weeks in Ireland all that time ago behind him. 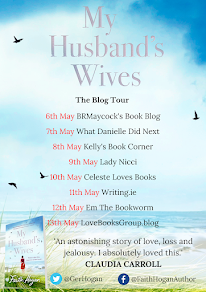 To my dismay, I managed to completely miss The Ballroom Cafe when it came out last year, but after reading The Judge's Wife, I am counting down the days until I can get to a book shop to buy it. To say that I loved The Judge's Wife would be an understatement. I couldn't believe the amount of emotion I felt whilst reading this story. I was utterly blown away by Ann's attention to detail. She wrote both the 1950's and the 1980's beautifully, and there was a stark difference between the two eras. Without going into too much detail on each of the decades, she was able to create a feel for both decades, which is probably what I loved the most about this book. The characters in this book are so well written and are developed beautifully. I have never loved a character as much as I loved Grace. My heart broke into a million pieces every time a chapter was told from her point of view. She really is the most loveable character and I adored her from the very first page until the very end. Even though, the character of the Judge is a hard character to like and I really disliked him at the beginning of the book, by the end, his letters to his loved one's had me in tears and the villain of the story, very nearly turns into the hero. Emma, Vikram, Mandy and Rosa, all added something very special to the story and I adored the chemistry between all of the characters. 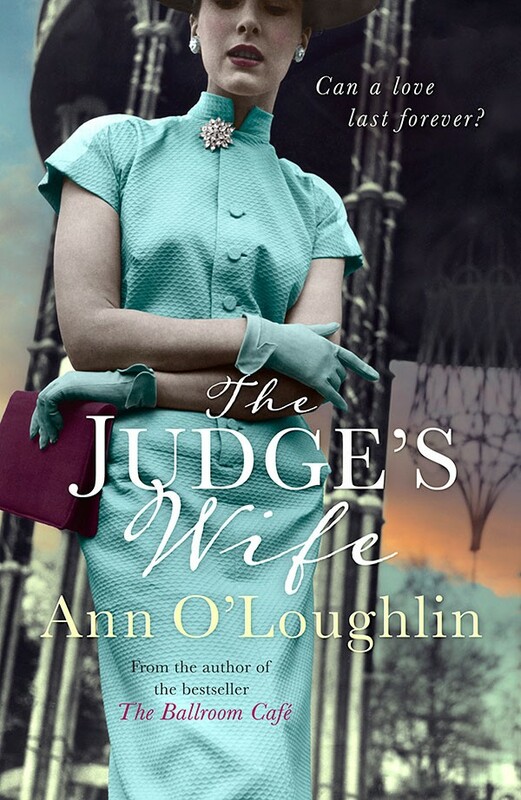 The Judge's wife, for me, was a very hard book to read, because I cared so much for the characters, that it became hard to see them go through a hard time. The Judge's Wife is without a doubt the heart warming and heart breaking story I have ever read. Within the space of one paragraph I was crying tears of utter sadness and then tears of pure happiness. It's a end that I didn't see coming in a million years and there are plenty of little twist and turns thrown in to keep you interested throughout. Ann O Loughlin could not have written a better book. It is full to the brim with emotions and is just as heartwarming as it is heartbreaking. I am so happy that I got the opportunity to read this amazing book. The Judge's wife is simply stunning and had me spellbound from beginning to end. It tells a very real story, that lots of women had to go through back in the 1950's, it really shows us how lucky we are to be living in a time where this is no longer the norm. It makes you appreciate all that you have. Please, please, please, read The Judge's Wife. I could never do it enough justice in a review and I hope the Ann and the Judge's Wife have all the success that they deserve with this amazing story. You can buy The Judge's Wife on kindle and in paperback here.